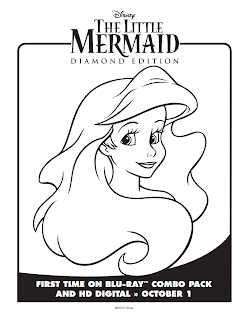 Babblings of a Mommy: The Little Mermaid 48Hour Giveaway!!!! 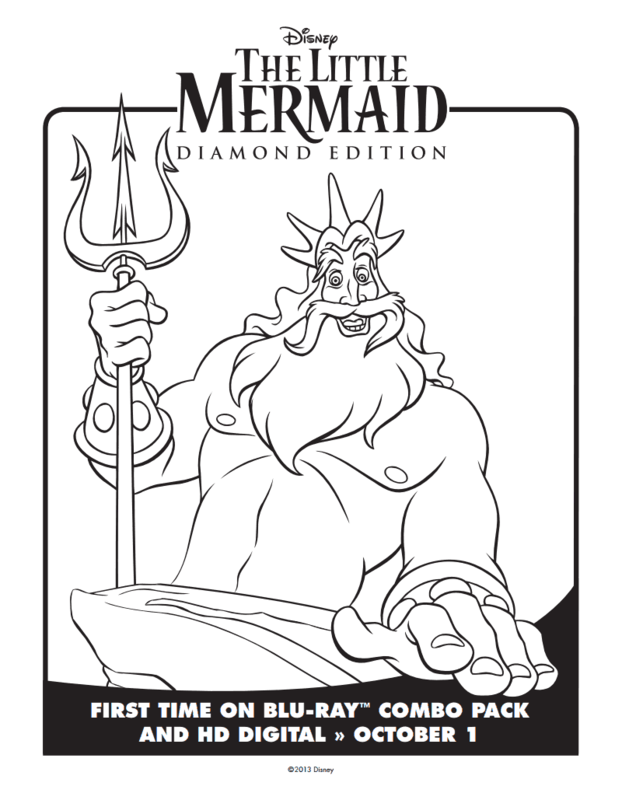 The Little Mermaid 48Hour Giveaway!!!! Who doesn’t remember singing along with Ariel when they were little? I know I did! The Little Mermaid was one of my favorite movies growing up, and now she is swimming into the hearts of a new generation with the release of The Little Mermaid Diamond Anniversary Edition! How exciting! The story of a fun-loving and mischievous mermaid, who is enchanted with all things human. Disregarding her father’s order to stay away from the world above the sea, she swims to the surface and, in a raging storm, rescues the prince of her dreams. Determined to be human, Ariel strikes a bargain with the devious seawitch Ursula (voice of Pat Carroll), trading her fins and beautiful voice for legs. 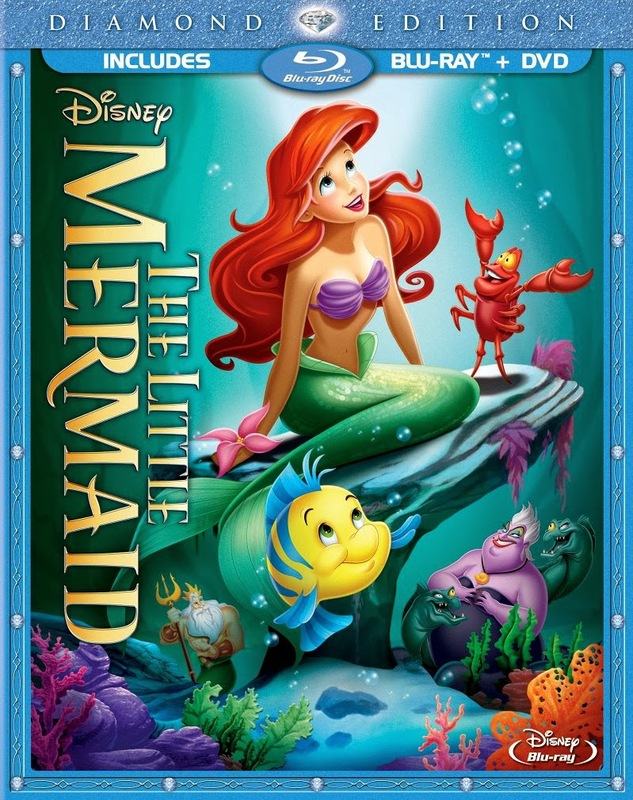 With her best friend Flounder (voice of Jason Marin), misguided seagull Scuttle (voice of Buddy Hackett) and the calypso-singing Caribbean crab chaperone Sebastian (voice of Samuel E. Wright) at her side, Ariel must win the prince’s love and save her father’s kingdom – all in a heart-pounding race against time. This is a timeless Disney classic that children and adults love. That’s why I’m excited to offer one of my readers a copy of The Little Mermaid Diamond Anniversary Edition to share with your family! (Or keep for yourself, who are we kidding.) To enter simply follow the instructions on the rafflecopter widget. In the meantime, enjoy these adorable Little Mermaid printables! I haven't seen Epic yet, but we plan to! Sorry! The epic question was a mistake. Thanks for entering! I love Sebastian! He's so funny and dramatic! Ariel and Sebastian were both my favorites!! I have red hair so when I was a little girl, I loved seeing a "princess" with red hair..lol! And, I love Sebastian because he's just "cool", especially the accent..loved it! Ariel she is just so pretty and mystical. My daughter says Ariel is her favorite because of her beautiful red hair. flounder.. hes just so darn cute! I love Ariel because she follows her dream no matter what the outcome might be. Ariel! I have always loved this movie since I was a little girl. She was adventurous and fun! the songs in this movie are great! thanks for the giveaway! thank you for the giveaway opportunity. I hope you will stop by and enter my giveaway too. Hugs! My favorite character is Sebastian because I love his accent and he is fun and caring. l love Sebastian because he's so funny without even trying! Ariel, because she is beautiful and caring!